Posted On December 7, 2012 by &filed under Legal India, Legal Tips. Limited Liability Partnership (LLP) is an alternative corporate business entity in India that provides the benefits of limited liability of a company but allows its members the flexibility of organizing their internal management on the basis of a mutually-arrived agreement, as is the case in a partnership firm. Limited Liability Partnership in India has been enacted by the Parliament of India in 2008 by Limited Liability Partnership (LLP) Act of 2008. This business entity is very popular in western world, it would be useful for small and medium enterprises in general and for the enterprises in services sector in particular, including professionals and knowledge based enterprises. Particularly huge size law firms, CA firms or other networks of professional are using this business entity. Contrary to partnership in LLP no partner would be liable on account of the independent or unauthorized actions of other partners, thus allowing individual partners to be shielded from joint liability created by another partner’s wrongful business decisions or misconduct. The concept of One Person Company [OPC] is a new form of business, introduced by The Companies Act, 2013 [No.18 of 2013], thereby enabling Entrepreneur(s) carrying on the business in the Sole-Proprietor form of business to enter into a Corporate Framework. A Limited Company or Private limited company is a voluntary association of not less than two and not more than fifty members, whose liability is limited, the transfer of shares is limited to its members and the general public is not allowed to invite to subscribe to its shares or debentures. In India it is the most famous or most popular business entity concept to fix a business. A public limited company is a voluntary association of members which is incorporated and, therefore has a separate legal existence and the liability of whose members is limited. A Public Limited Company is also the most popular form of business entity used for Indian and Foreign Investors in India (including USA investors in India). 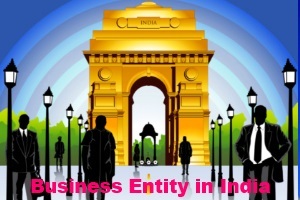 what are the laws and process for establishing a company in India. Especially, the establishment of a company in India from foreign investment. 103 queries in 0.211 seconds.